Russian President Vladimir Putin: "Firstly, nothing should be politicized and no conspiracy theory should be promoted." Russian President Vladimir Putin has called on the chiefs of the Russian sports to refrain from politicizing the situation related to the meldonium use and from framing a 'conspiracy theory' with regard to Russian athletes. 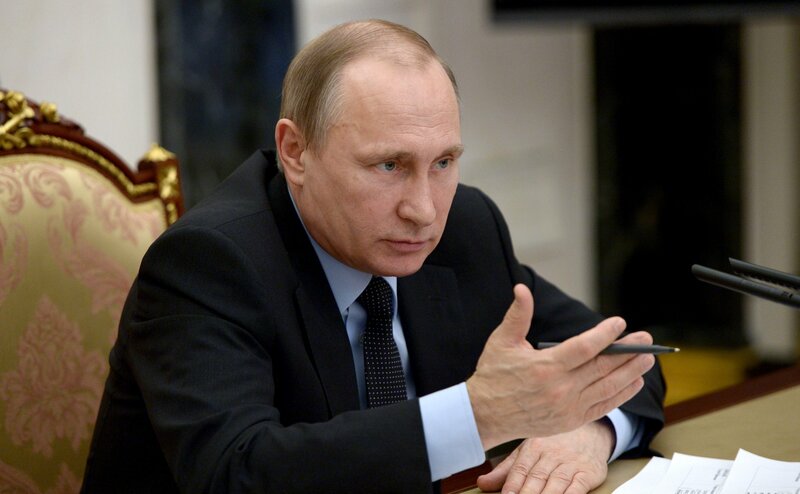 "Firstly, nothing should be politicized and no conspiracy theory should be promoted," Putin said at his meeting with government members, when addressing Sports Minister Vitaly Mutko and Russia's FMBA (Federal Medical and Biological Agency) chief Vladimir Uyba. "We should react to the resolutions adopted, particularly, on the level of international organizations, in a systemic and timely manner. And if you had no information about how fast this substance is removed from human body, then an appropriate work should have been done, you should have contacted your counterparts and discuss it with them well in advance, instead of hitting the tails, as in a popular phrase, and discuss retrospectively what had been done correctly and what incorrectly," Putin said. Who's to blame for the meldonium: Russia’s athletes, doctors or officials? In this regard, Putin added: "what should be done here, is not crying or weeping on every occasion, but winning, winning with a clear margin, and then no questions will be raised whatsoever". Putin asked the heads of Russian sports "to work in an utmost open way with our colleagues, international organizations, and first of all, with WADA (the World Anti-Doping Agency), the [International] Olympic Committee, in order to have an environment of absolute trust and transparency, created as a result of this work". Mildronat, a meldonium-containing medicine manufactured in Latvia, has become widespread among Russian athletes. However, last year, the substance was put by WADA on its list of the prohibited substances and the ban is effective, starting from January 1, 2016. To date, 10 Russian athletes have been caught taking Mildronat (meldonium).